If you have a big family, have a great big Jacuzzi tub you need to fill or you’re simply lacking space, the tankless water heater may be the solution you’ve been looking for. 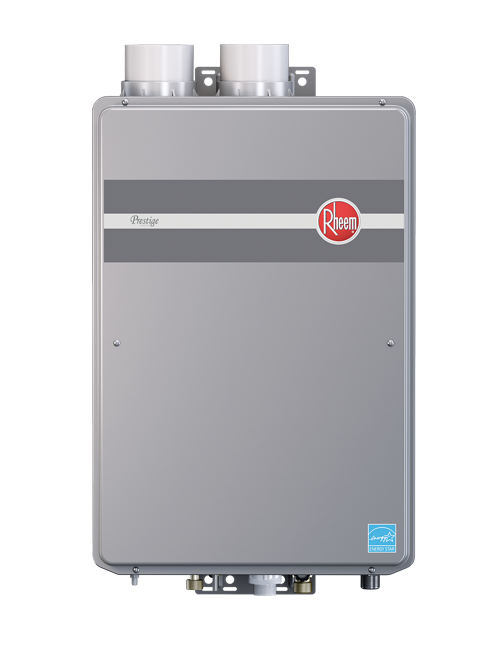 Rather than storing hot water in a tank the old-fashioned way, the tankless unit provides on-demand service and instant hot water. When the water runs through the system, it is exposed to extreme bursts of energy powered by gas or electricity that immediately heat the water. It is hot water, on demand. Although the tankless water heater has a higher price tag, the operating costs are generally more affordable than the conventional tank unit because the water is only heated once before it is used. Tankless heaters are also over 95% efficient! What a lot of people do not know is that a normal 40gl gas hot water tank brand new are about 53% efficient. So, if you don’t think you want to afford a tankless, you’re paying for it anyway in the long run with money exhausting up your chimney. For those working within a strict budget, the conventional tank-style water heater is a less expensive alternative, not to mention a tried-and-true option that has been proven effective over the years. Drawing its power from electricity or gas, the tank unit stores a large amount of water and keeps it hot by firing occasionally, guaranteeing that your water will be heated whenever you require it. The downside to this system is that tanks have a tendency to corrode inside and need to be replaced eventually. Our Rheem ‘Marathon’ electric tanks however, are guaranteed for life. Did you know that water heating accounts for more than 15 percent of the total amount you pay for energy in your household? In an average day, households in Canada use approximately 75 litres of water to bathe, clean, wash dishes, and do laundry. Hot water is a valuable and essential component of daily life and plays an indispensable role in many commercial industries, such as food service, where it could become a serious health concern. Of all the areas in your home or business, water heating is one you don’t want to mess around with. To help ensure that you’ll always have hot water, Weather Tech Heating and Cooling offers installation and maintenance services on both types of water heaters – modern tankless heaters and more traditional tank units – in both gas and electric versions. At Weather Tech Heating and Cooling, there are no high-pressure sales tactics or misleading suggestions. Always respectful of our clients, we assess your situation and offer you an honest recommendation designed to fit your needs and your budget. Depending on your decision, our experienced team of certified professionals will expertly install and service the water heater of your choice. Whether it’s gas or electric, tank or tankless, Weather Tech can do it all.